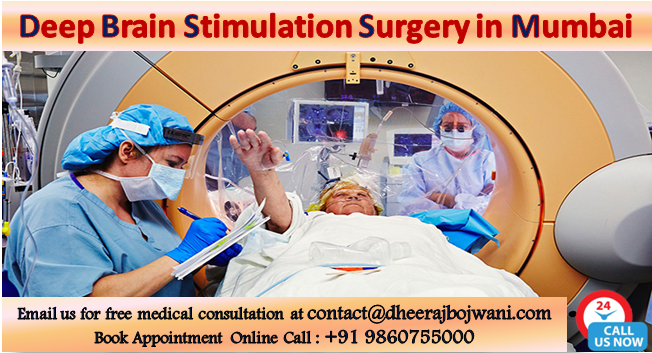 During Deep Brain Stimulation (DBS) electrodes are implanted within specific area of the patients. These electrodes produce electrical impulses, which then control the irregular and abnormal impulses; or these electrical impulses can affect some cells and chemicals in the brain. The amount of stimulation in this procedure is regulated by a pacemaker-like device. This device is positioned under the patient’s skin in the upper chest, under the collarbone. A wire placed under the skin connects this device to the electrodes in the brain. This is not exactly the cure for the below mentioned diseases but Deep Brain Stimulation (DBS) is a very efficient and established in keeping the symptoms of these diseases under control. This treatment methodology is mostly reserved for those patients, who are not able to or cannot control their symptoms through medications. Further, a lot of research and experiments are being done on DBS to be used in the treatment of major depression, addiction, stroke recovery and dementia. There are many hospitals in Mumbai, which are known to have extremely advanced Neurosurgery department but one hospital that is considered to be best hospital for deep brain stimulation surgery in Mumbai is the Kokilaben Dhirubhai Ambani Hospital and Medical Research Institute. The centre for Neurosurgery here has been doing a very commendable job by curing many patients by implementing the most progressive treatment techniques that bring outstanding success rates. DBS is a regularly performed procedure here and several patients have benefitted owing to the expertise of the clinical team associated with this centre. What is the cost of DBS surgery in Mumbai? Like any other treatment method or surgical procedure, DBS too is very sensibly priced in India. Treatment in India has been helping innumerable patients with every passing year. Patients from all around the world are coming every year because India; particularly Mumbai, serves as a major ray of hope of getting highly advanced yet affordable treatment and surgeries. Similarly, Deep Brain Stimulation surgery in Mumbai is priced in a very cost effective way. Deep Brain Stimulation (DBS) is a surgical treatment option, which is quite prevalent and preferred by many because the results are quite positive and have been known to enhance the quality of the patients’ life, who are suffering from movement disorders. It is not the cure but the symptoms surely show significant improvement. So if anyone’s is tremendously affected by such diseases or is finding the side effects of the medications too cumbersome, it is better to go for DBS. How can I get DBS surgery in India with Best Medical Tour facilities? How long does it take to remove a meningioma?